Great Tastes Tuesdays! : Saturday Night Pizza! Here is your Saturday night dinner idea! It is simple, easy and fun. 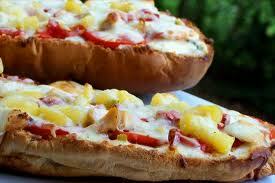 *Note: Other toppings you can use may be ham, sausage, pineapple, sliced tomatoes, mushrooms, etc. * You can also use pre-made pizza sauce from the store if you like the taste of that better. Combine all of your ingredients in a sauce pan. Bring to a boil. Lower your heat and simmer for 10 minutes. Remember to visit our page on Facebook at Great Tastes Tuesdays and hit the "like" button to be entered to win for our sweepstakes drawing in January. Visit our Shop at http://www.etsy.com/shop/GreatTastesTuesdays for fun handcrafted gifts. And to come will be gifts for weddings, graduations, baby gifts and more.